FILL a medium-sized pan with water and salt and bring to a boil. CLEAN the Brussels sprouts by taking off the tip with a small knife and if needed also remove the outer leaves. 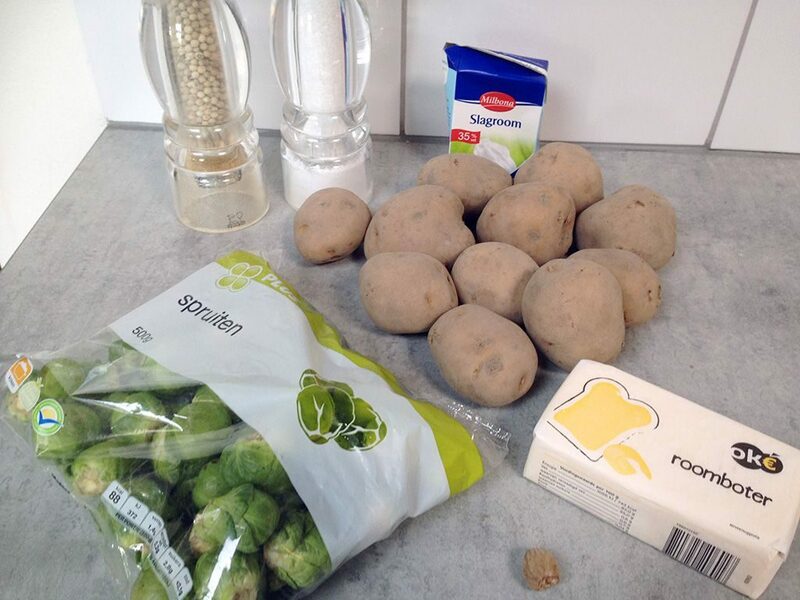 COOK the sprouts shortly and re-use the same water for the potatoes. 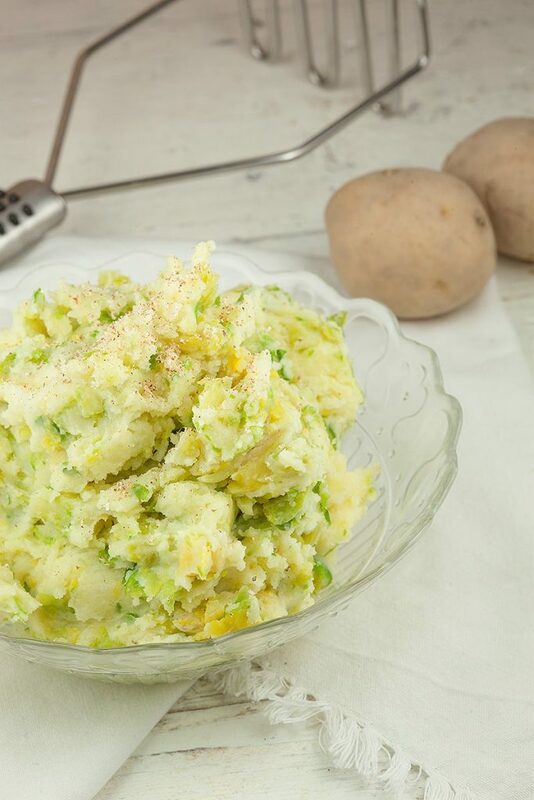 PEEL the potatoes and chop them into pieces. COOK the potatoes for about 10 minutes, depending on the size. DRAIN the potatoes and mash them, you can use a potato masher or a fine sieve and a ladle to do this, or whatever you prefer. SEASON the puree with pepper, salt and quite a lot of freshly ground nutmeg. Roughly CHOP the Brussels sprouts and heat butter in a medium-sized skillet. COOK the chopped sprouts in the butter on medium heat. SEASON with pepper, salt and freshly ground nutmeg. 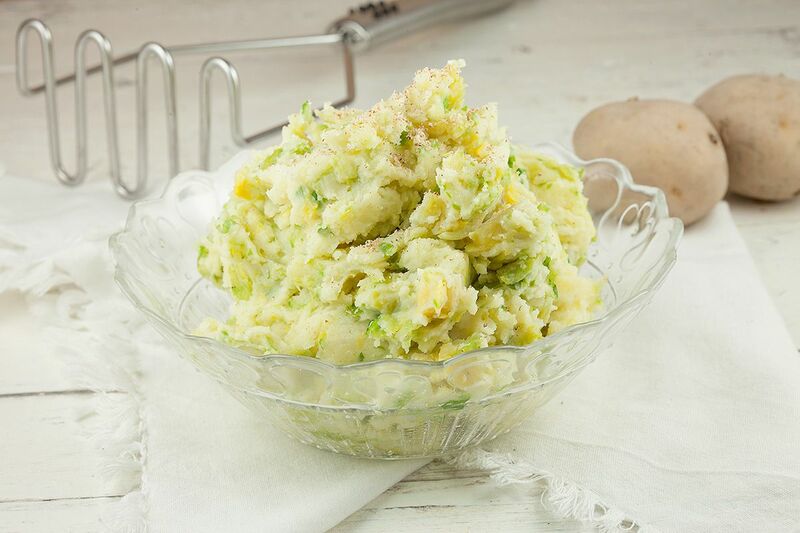 COMBINE the mashed potatoes and Brussels sprouts and taste again. 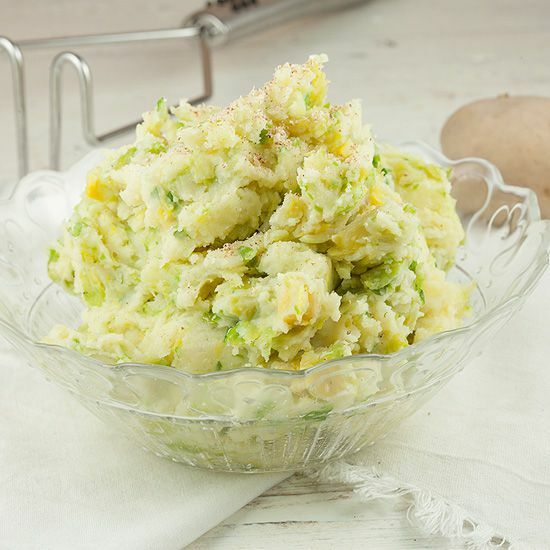 Delicious side dish to serve with roasted ham or any other kind of meat and enjoy!